FC Barcelona 3-0 BIIK Kazygurt: Back on track! 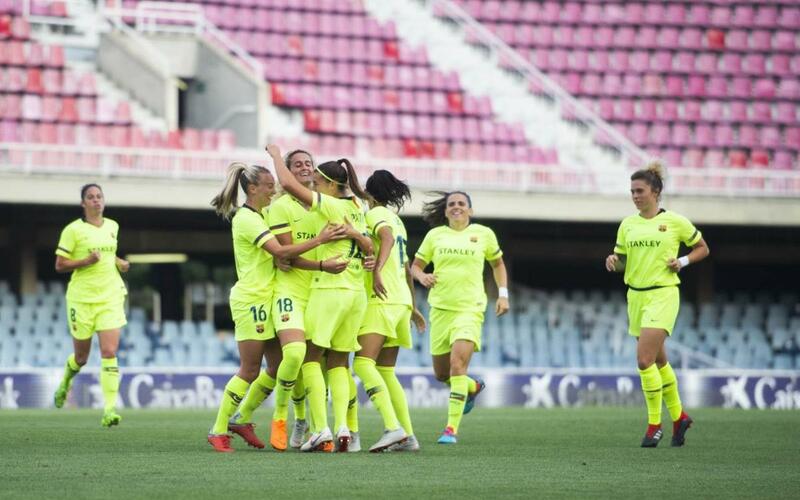 The Barça women are through to the last sixteen of the UEFA Women’s Champions League for the sixth season in a row after an epic 3-0 victory over BIIK Kazygurt of Kazakhstan on Wednesday evening. After losing the first leg 3-1, the team were in serious danger of an unexpectedly early exit from the competition, but a fine performance at the Miniestadi on Wednesday means they are safely through to the next round. The game got off to the perfect start with Toni Duggan and Patri Guijarro combining to produce a fine goal for the latter after just four minutes. Looking great in yellow, Barça still needed another to qualify on away goals and despite a barrage of pressure throughout the first half the second just wouldn’t come in front of a crowd of 1,667. However, almost straight from the restart the blaugrana finally led by two. England international Duggan was once again the creator, with an opportunistic Marta Torre leaping onto a rebound off the keeper. So far so good. There was still plenty of tension in the air. A Kazakh goal threatened to change everything. But the way things were going, such a setback was looking increasingly less likely. And as Barça pressed forward, Lieke Martens stepped up with a marvellous goal in the final minute. 3-0. Surely it was all over. But not quite yet. Dominant as Barça were, a BIIK goal would still send the game into extra time. But there was very little time left for that. A couple of minutes later, the referee’s whistle was blowing and Barça had survived the scare and clinched a place in the draw for the last sixteen.